Our collection at Boxers and Briefs contains only the highest quality Tommy Hilfiger Girls Underwear. 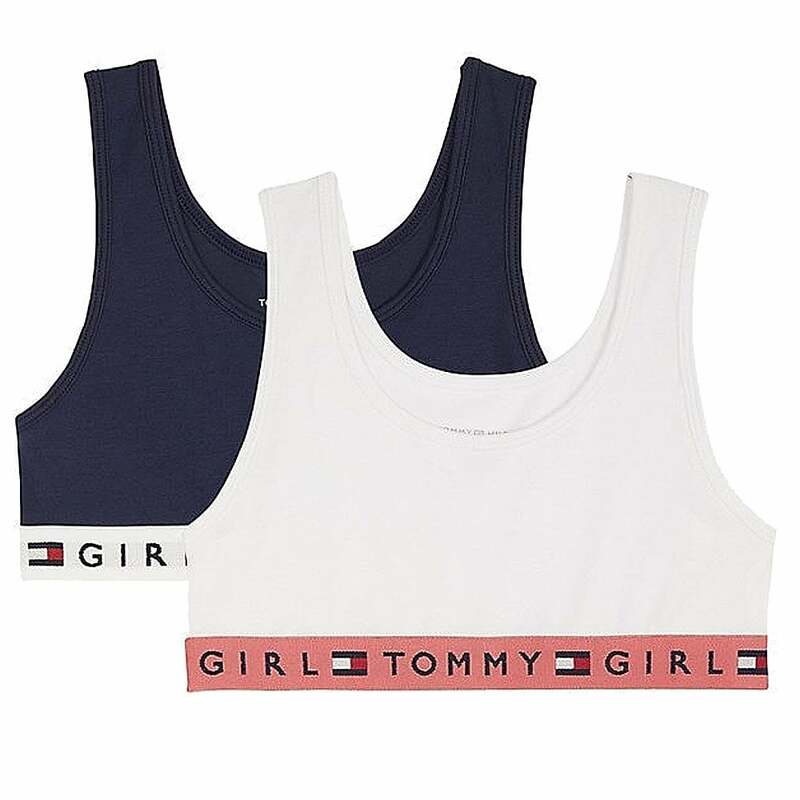 The Tommy Hilfiger REMIX range of kids' underwear features the iconic Hilfiger logo Underband and is made from breathable cotton to ensure comfort and durability. In our Tommy Hilfiger Girls REMIX range we have the Navy Blazer / White Tommy Hilfiger Girls 2 Pack REMIX Bralette. These are available in size Medium, Large and X-Large (ranging from ages 10 to 16).